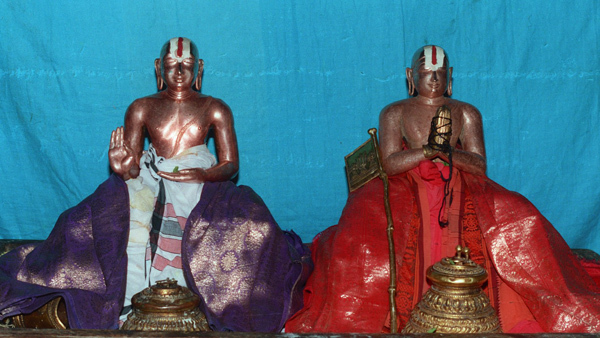 In SrIvaishNava sampradhAyam, we greatly celebrate three aspects namely pramANam, pramEyam and pramAtha. 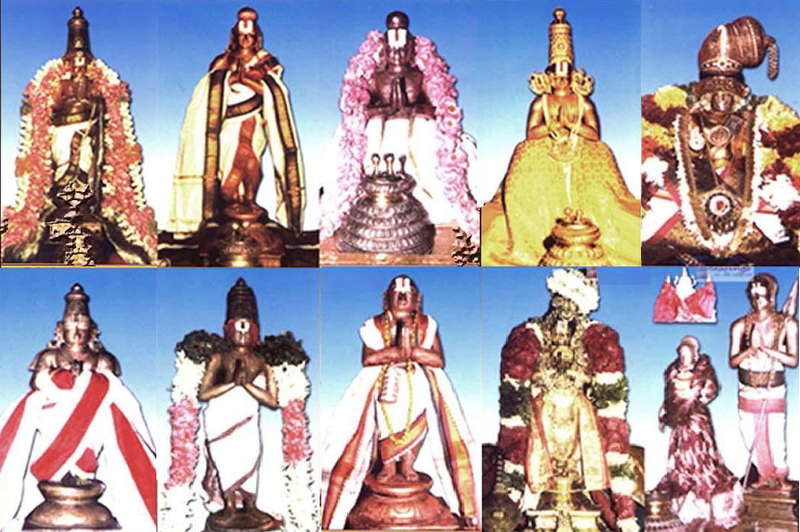 Among these, pramANam gives us true knowledge. pramEyam is what is known/understood through that knowledge. pramAthA is the one who reveals us the pramEyam using the pramANam. Though pramANam is broadly classified in to three - prathyaksham (what is observed through sense perception), anumAnam (analysing and learning through previously familiar concepts) and Sabdham (SAsthram/scriptures), Sabdham is considered as the primary source by the followers of vEdham. 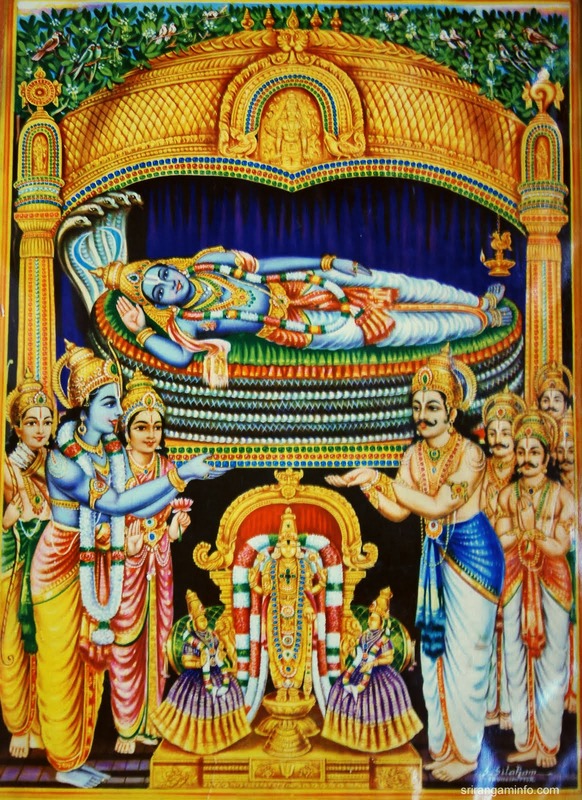 SAsthram explains service to bhagavAn as the pramEyam. AzhwArs and AchAryas are the trustworthy pramAthAs for us. emperumAn, the lord of SrI mahAlakshmi, to uplift the souls, reveals vEdham which is the best among pramANams, during every srushti (creation) to brahmA. brahmA spreads vEdham and those which explain vEdham such as smruthi, ithihAsam and purANams with the help of many sages. Still, since vEdham etc are huge and the essence is buried in it like precious gems in an ocean, it is difficult to comprehend for laymen. Considering this, emperumAn selected a souls who were bound in samsAram (material realm), bestowed them blemishless knowledge and devotion, made them AzhwArs and made them bless us with aruLichcheyal (dhivya prabandham) in simple thamizh language containing the essence of vEdham. After the times of AzhwArs, pUrvAchAryas starting with nAthamunigaL orally taught the divine meanings of dhivya prabandham. emperumAnAr, out of great mercy, initiated the tradition of writing commentaries to dhivya prabandham etc. After emperumAnAr's times, during nampiLLai's times, the commentaries grew quite a bit. In vEdham, vEdhAntham and dhivya prabandham, there are many aspects related to rahasya thrayam are present. 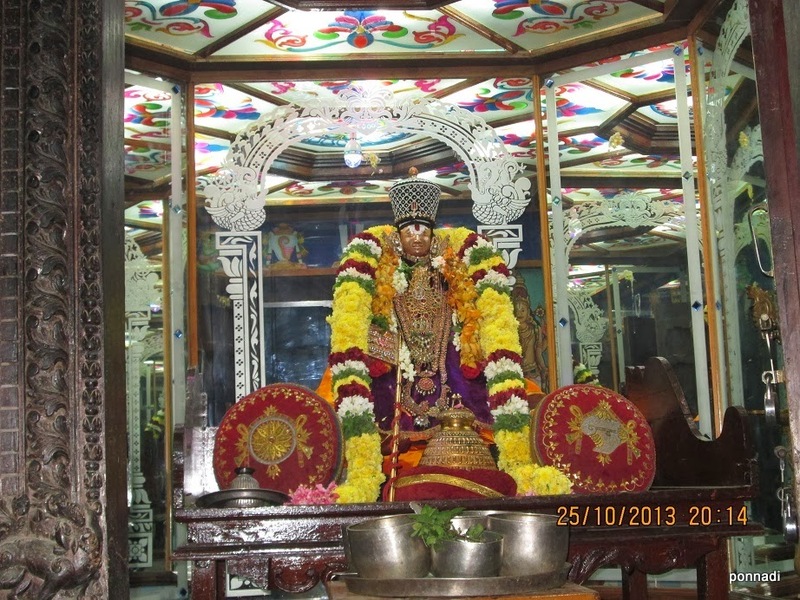 rahasya thrayam means thirumanthram, dhvayam, charama SlOkam which are learned from AchArya while undergoing pancha samskAram. After undergoing samASrayaNam from AchArya, it is the duty of the Sishya to learn the meanings of rahasya thraya and live according to it. Since SAsthram declares "gyAnAn mOksham", for mumukshus who are desirous of attaining mOksham (liberation), knowledge about rahasya thrayam is essentiatl. Great AchAryas like periyavAchchAn piLLai, piLLai lOkAchAryar, azhagiya maNavALap perumAL nAyanAr, vEdhAnthAchAryar have all blessed us with rahasya granthams.Out of those granthams, the most important rahasya granthams blessed by the most merciful piLLai lOkAchAryar and nAyaNar were mercifully elaborated by maNavALa mAmunigaL who is known as viSadhavAk SikAmaNi. These were constantly heard and practiced as kAlakshEpa granthams by our elders. We can learn about the details of these rahasya granthams namely mumukshuppadi, thathva thrayam, SrIvachana bhUshaNam and AchArya hrudhayam, with the help of the introduction to the commentaries given by mAmunigaL for each of these granthams. Further, we can also enjoy artha panchakam which is an important prabandham blessed by piLLai lOkAchAryar, in simple language. All of these are to be properly heard from learned scholars. This effort is only to give an introduction to these.